When was the last time you looked in a mirror? What did you see? What did you think? Alternatively, did you look beyond your image and ask ‘Who am I? What are my values? What is my purpose? Am I proud of how I’ve treated others, or who I’ve become? Do I have any regrets? Am I living the life I desire? 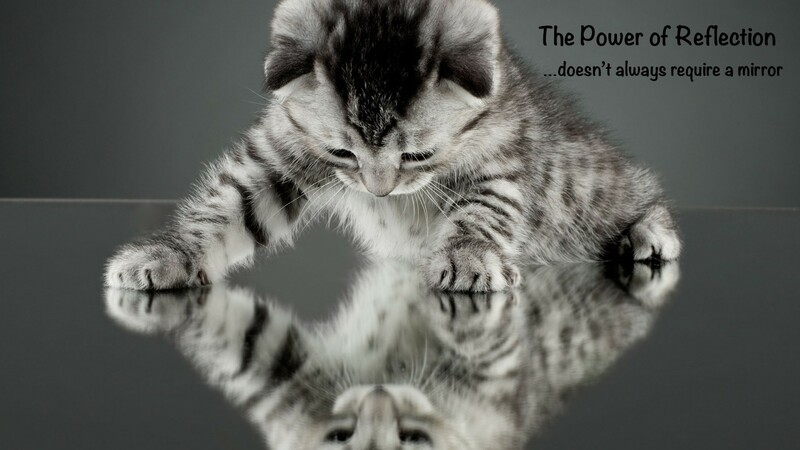 There is power in reflection. When we look at a painting or sculpture we often seek to understand the artist’s vision. After watching a film, we frequently ponder the film maker’s message. And when reading a book, we benefit from considering the writer’s perspective. For without reflection we are simply passive observers – watching but not engaging – missing out on the opportunity to truly learn and grow from our experiences. Not as judgement or as a way to critique yourself – but as a way to improve or enhance your self-awareness. Reflection is the key to self-awareness – to identifying our strengths, ensuring alignment with our values, and to identifying opportunities for future improvement. As kids we often used marks on the inside of a door frame to track our growth. But what do we use as adults to evaluate our non-physical development? There is power in reflection – and it doesn’t require a mirror. Fan of health, wellness, leadership & creating memorable experiences. Personal growth. Ever mindful.